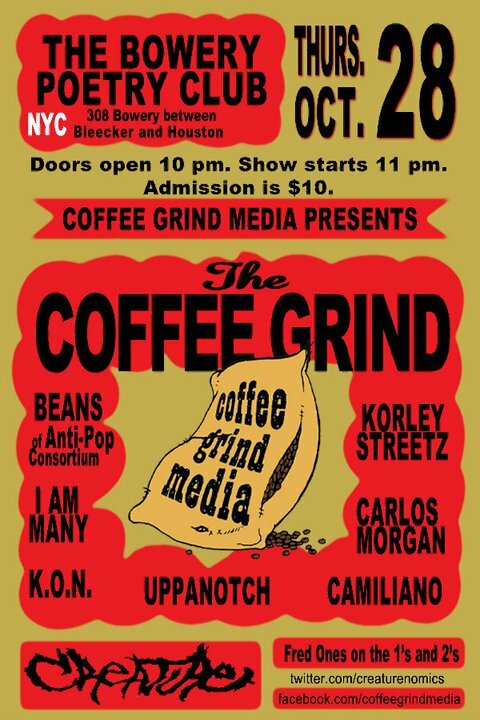 You can catch Crown City Records own Camiliano performing live this Thursday Oct. 28th!! Doors open @ 10pm. Show starts 11pm. Log onto facebook.com/coffeegrindmedia for more info. Follow twitter.com/creaturenomics. Follow Camiliano @ http://twitter.com/CAMILIANO_NYC.